The President of the United States must host many functions, and social events go smoother if he has a gracious hostess at his side. In addition to being the wife and mother of the family, the First Lady is expected to decorate with good taste and to entertain flawlessly. In modern times, she is also expected to give support to her husband through public appearances and to support charitable or social causes. But what’s a chief executive to do if he’s a widower—or even worse, a bachelor? What happens when there’s no First Lady? He asks someone else to fill that role, of course, usually a relative, but sometimes a close friend. Thomas Jefferson was the first president to have that problem. He was widowed nineteen years before he took the oath of office as president. His marriage had produced six children, only two of whom—Martha and Mary—lived to adulthood. Martha, known as Patsy, red-haired like her father, married Thomas Mann Randolph, Jr.
Mary, whose nickname was Molly, married John Wayles Eppes. Both acted as hostesses for Thomas Jefferson during the winter season of 1802-03. Molly died in 1804, but Patsy returned to the White House the following year to act as hostess. Her eighth child, James Madison Randolph was the first child to be born there. When his daughters were not available to help him out, President Jefferson relied on Dolley Madison, whose husband was at that time Secretary of State, to act as hostess at White House functions. This was good practice for Dolley’s later duties as First Lady. Andrew Jackson’s wife, Rachel, died a few months before her husband took office in 1829. While he was in the White House, Emily Donelson, the wife of Rachel’s nephew Andrew Donelson, served as hostess in the executive mansion. Emily had one child at the time of the inauguration and gave birth to three more in the White House. Martin Van Buren was a widower with four sons when he became president. After his son Abraham married Angelica Singleton, she began receiving guests at White House functions with her father-in-law. James Buchanan became president at age 65, and he was a bachelor. His niece and legal ward, Harriet Lane, took over the duties of First Lady at the age of 26. 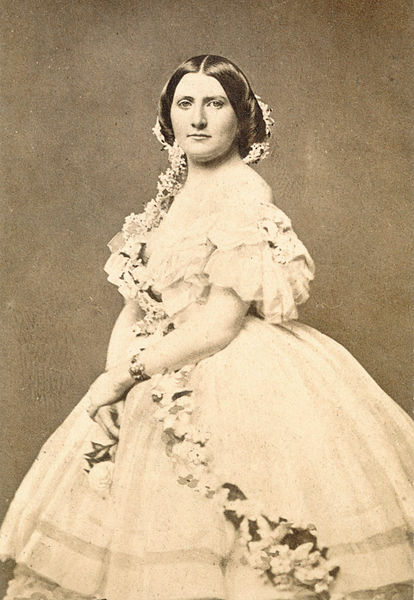 Lovely, clever, and poised, she made a wonderful hostess in the pre-Civil War years. Chester A. Arthur, who took office in 1881, had been widowed a year before. He did not have an official hostess, but his younger sister, Mary Arthur McElroy, went with him to Washington to take care of his young daughter, Nellie, and her own two daughters. Mary sometimes stood in receiving lines with her brother, but she was never in the spotlight. The Arthur administration was the only one that never had a First Lady or a designated surrogate. Of course, if you are a bachelor president, as was Grover Cleveland, you can take a more creative way to fill the vacancy and marry a woman who will become the First Lady. When he was first elected, Cleveland’s younger sister Rose acted as his hostess. But when Cleveland became the first—and only—president to be married in the White House, his bride took over her duties with alacrity. Frances Folsom Cleveland was 21, and Grover was 48 when they married. Frances was known as a charming young woman who enjoyed her social responsibilities. During Cleveland’s second term, she gave birth to their second and third daughters in the White House. After Grover Cleveland’s death in 1908, she became the first First Lady to remarry, when she wed Thomas Preston. This is only a glimpse of some women who performed social duties at the White House when there was no official First Lady. There is much more to their lives, of course, but today we honor them for standing in the gap. Leave a comment and your contact information for a chance to win one of Susan’s historical novels: Lady Anne’s Quest, A Lady in the Making, Love Finds You in Prince Edward Island, or The Outlaw Takes a Bride. The winner may choose either an e-book, a paperback, or a large print, hardcover copy of one of these books, or an audio book of The Outlaw Takes a Bride. If more than twenty enter, two winners will be chosen. The drawing will be held Aug. 29. Susan Page Davis is the author of more than sixty published novels. She’s always interested in the unusual happenings of the past. She’s a two-time winner of the Inspirational Readers’ Choice Award, and also a winner of the Carol Award and the Will Rogers Medallion, and a finalist in the WILLA Awards and the More Than Magic Contest. Visit her website at: www.susanpagedavis.com . A position that does require a hostess. I hadn't thought about it before. Wonderful thank you. Thanks, Mary! I'm afraid I personally wouldn't be very good at it! Thank you, Susan, for your very interesting post. Women wear many hats, don't they? Yes, and I think more is expected of them now than in the past. Susan, this is a very interesting post. I'd never thought about there being a need for a substitute First Lady. You would think nowadays that a man could host his events alone, but I suppose that would be adding more stress to the President's job! I think the First Ladies do more than we realize. I loved reading this post. I hadn't realized that so many Presidents faced the dilemma of no first lady. I also think that being First Lady takes a special person and having "thick skin" is very important! Great observation, Connie! Thanks for coming by! Very interesting! I like historical fiction, so I'm hoping to win a book. Thanks. I find things are usually not quite the way I thought they were when I start digging into history! Very interesting information - certainly something I had never thought about, since there have only been married presidents in the years I can remember. I would love to win a book and thanks for the giveaway! Good point, Betti! I am also wondering if another president will ever get married during his term. Thank you for this post, it was really interesting. I didn't realize that there were that many widower presidents. Thank your for the chance to win a copy of one of your books. Yeah, a lot of those families had seen tragedy. Glad you stopped by, Susan. I love fascinating historical tidbits like this. :) Thanks for sharing them with us and thank you for the giveaway! I always enjoy learning things when authors like yourself delve into history. I never knew there were so many that needed someone. Interesting how they chose someone to do it and a president that married while there and to one so young. thanks for sharing all these lovely tidbits. Thanks for all the great stories that you write for us to enjoy too. I agree, Paula. Frances Folsom seemed very happy in her marriage from what I have read. You can always find more about these fascinating ladies online if you want to read more. Thanks so much, Sharon. It is an intriguing subject to me too. Very interesting, as always! Thanks for the info. I'd love to read your book, Love Finds You on Prince Edward Island! Thanks, Connie! If the random picker likes you, your wish will come true. Happy reading, no matter what happens! I'm so glad I found this blog! Thank you for this great post! I'd love to read many (and win one) of your books, Susan! Welcome, Danielle, and thank you for your kind words. If you want to be entered in the drawing, please leave your contact information so we can let you know if you win. Most people use the susan (at) whatever (dot) com format for security. I could never do that! I consider myself a horrible host, lol. I give these women much credit for their hard work! Some of them were just amazing! I could have written a whole blog about Harriet Lane or Frances Folsom Cleveland. I'd heard about a few of these stand-in first ladies, but not most of them. A lot is required of a First Lady, just because her husband is president. I guess in a way, it's kind of like being a pastor's wife, though with a much larger spotlight. I've read several of your books so it would be delightful to win one! Thanks for this post and the chance to win a book. Thanks, Pam, and I think you're right. I am not fond of the spotlight, but I admire these women. What a fascinating post. It just goes to show that all through history women stepped whenever needed, weather it was helping a wagon train on the trail in Oregon or stepping in as first lady this once again proves as women we are very strong. 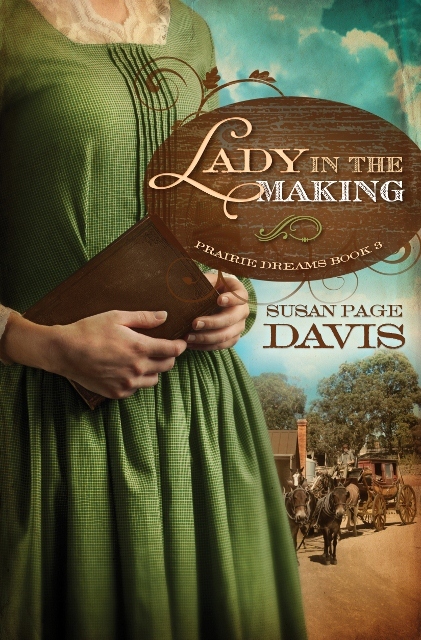 I have always been fascinated by historical research and reading and would love to read one of Susan Page Davis's books because the ones I've read have been fabulous ! That is so true, Deanne: throughout our history, we see women doing what needs to be done! I hope these ladies enjoyed doing their duty. Thank you Susan for sharing these interesting historical facts with us. I never knew that so many Presidents didnt have an actual wife as First Lady and how wonderful of all these women who filled in the role of First Lady so graciously. You're welcome, Maryann. Not so many widows and bachelors in modern times, but it could happen again. Interesting on when there was a president who did not have a wife or who's wife had died before he became president. Thanks for posting the information. kamundsen44(at)yahoo(dot)com. Thanks for coming by, Kim! Very interesting! I knew we have had a bachelor or two as President but hadn't heard about the ones who were widowed before taking office. Yes, nowadays it seems they all have a smiling wife at their side. Love this fascinating post, Susan! Thank you for sharing a bit about these amazing women. You're welcome, Britney! I learned a lot in preparing it. 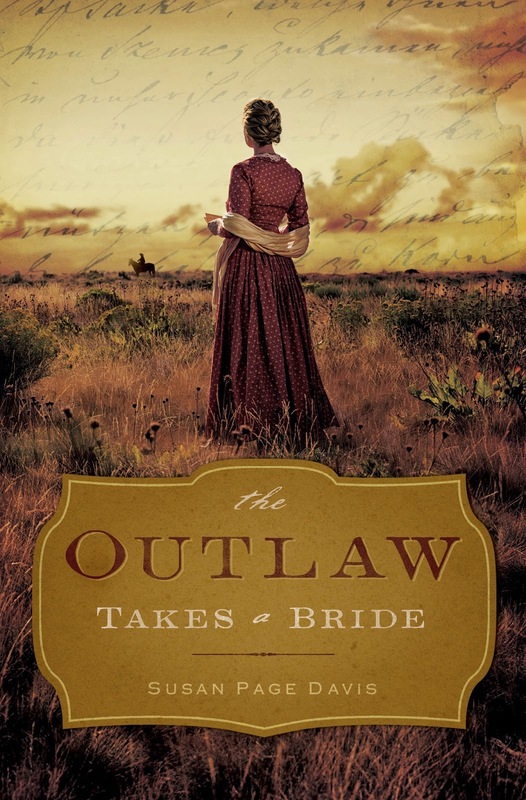 And the winner is Mary Preston, who chose The Outlaw Takes a Bride. There were 17 entries with contact information. Thank you all for participating!